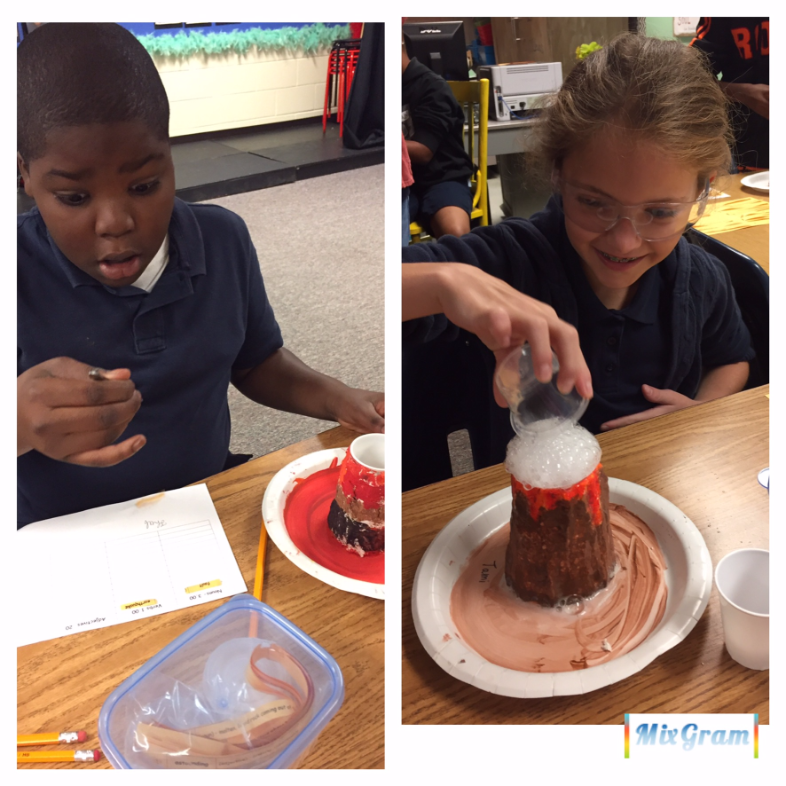 Using vocabulary to explore volcanoes! 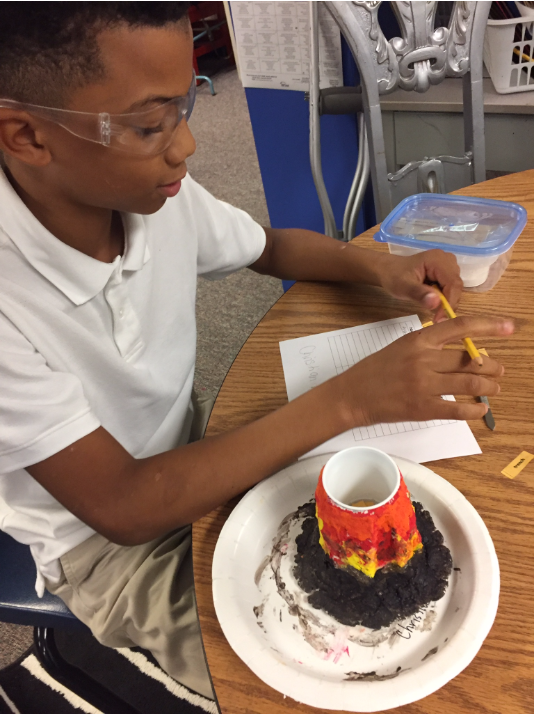 After becoming experts on constructive and destructive forces, students had to race against time to prove their expertise in vocabulary-specifically volcano vocabulary! 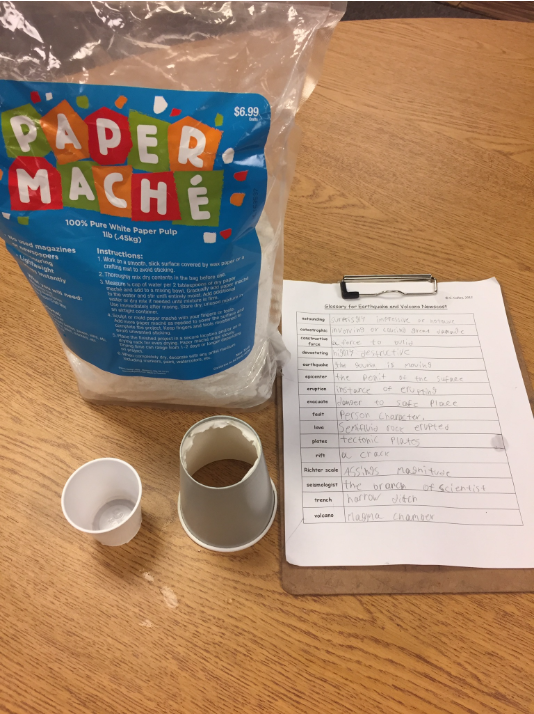 They were given the task of defining 20 vocabulary words related to volcanoes, determine the part of speech of each, then use math skills to calculate the decimal value. 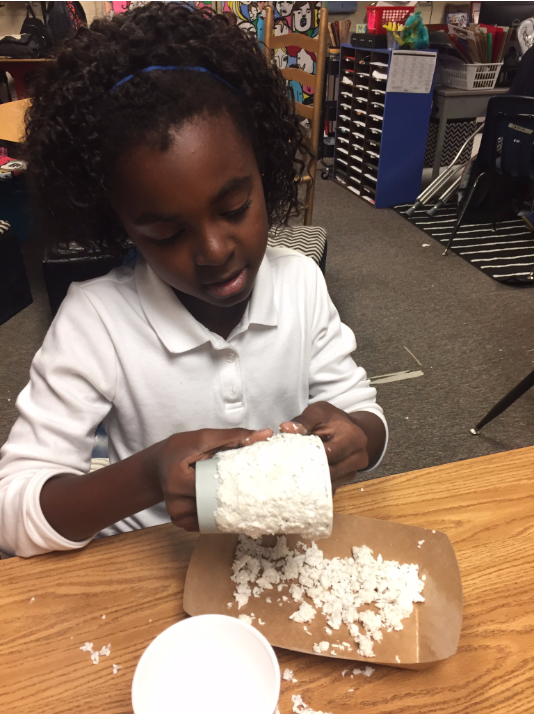 This had to be completed before the volcanoes erupted! 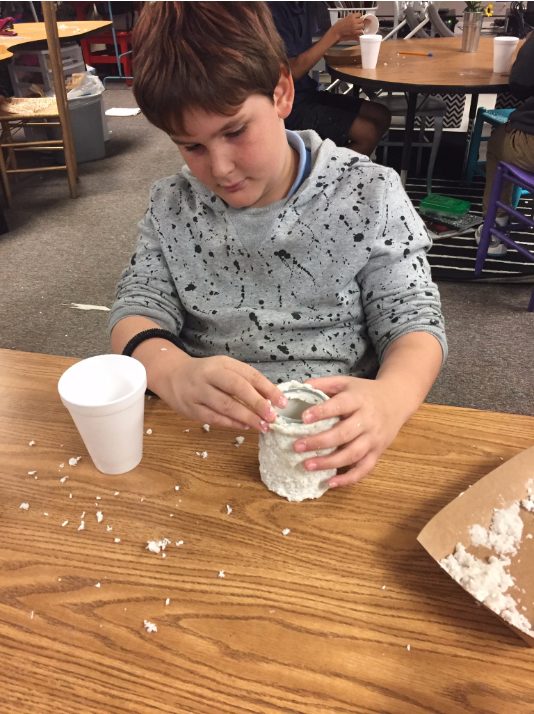 (Volcanoes were created using paper-mache′ prior to lesson).